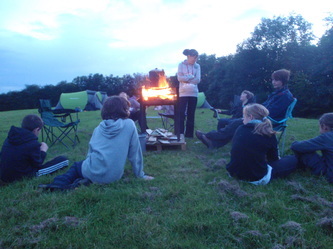 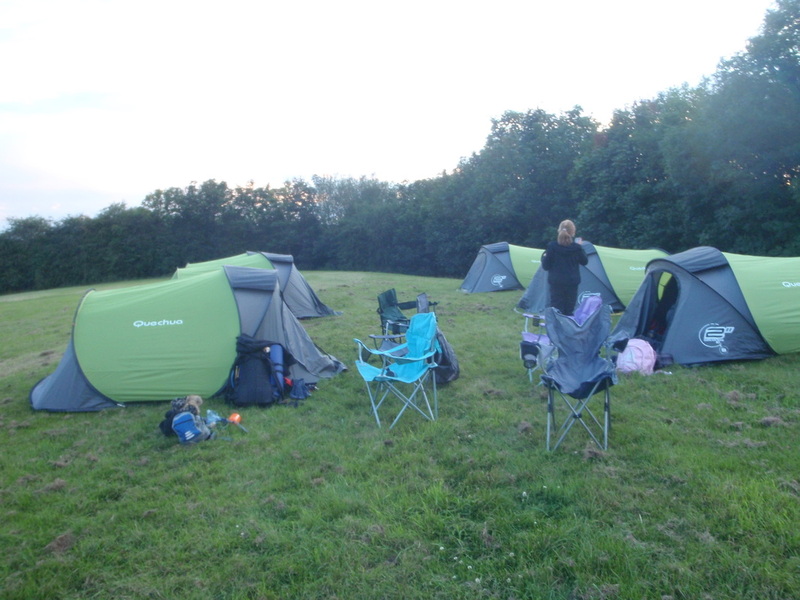 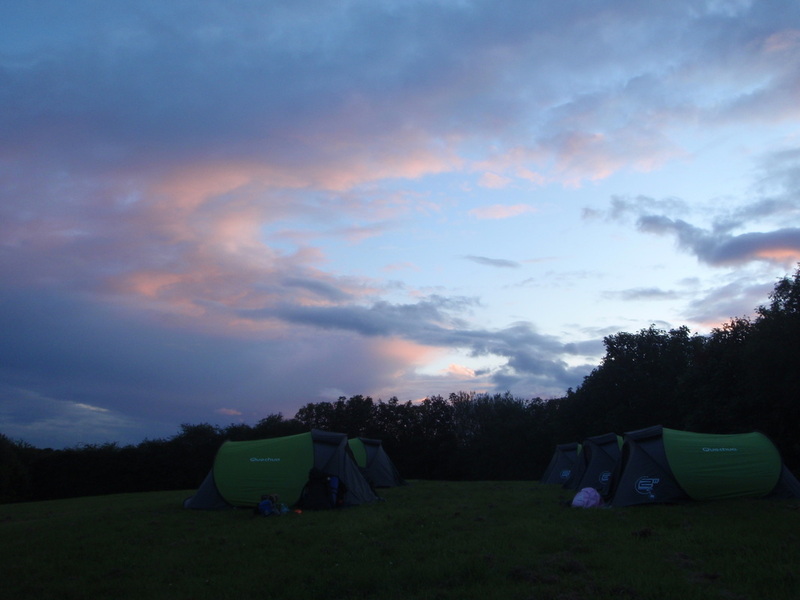 We met up at Ashworth Valley Campsite at 19.30, set up a very basic camp then had a fire and something to eat. 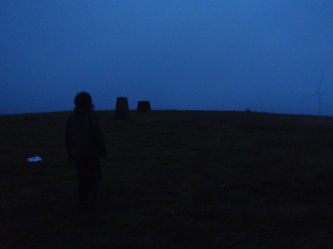 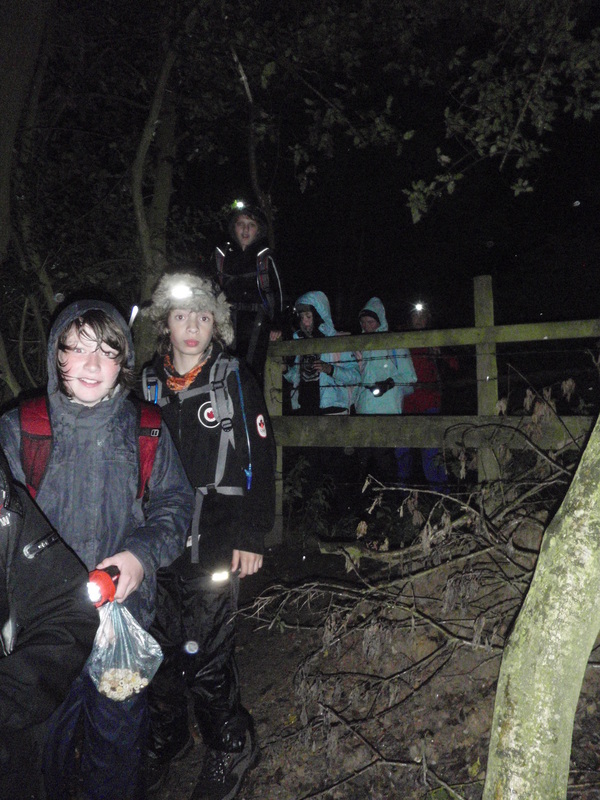 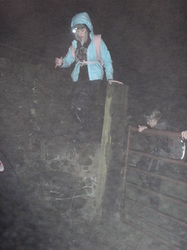 We had the entire site to ourselves so the Scouts explored and scared each other silly in the dark. 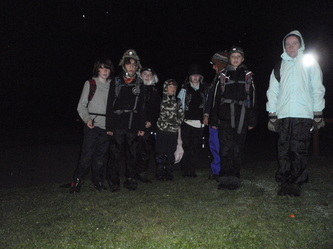 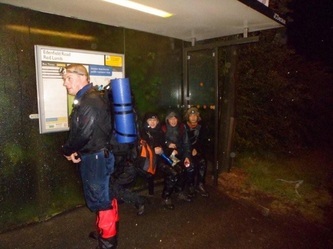 At 01.30 we prepared our kit and got ready to set off. 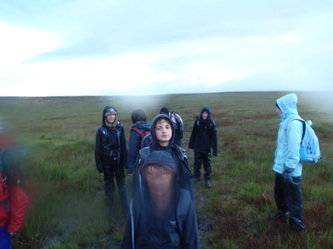 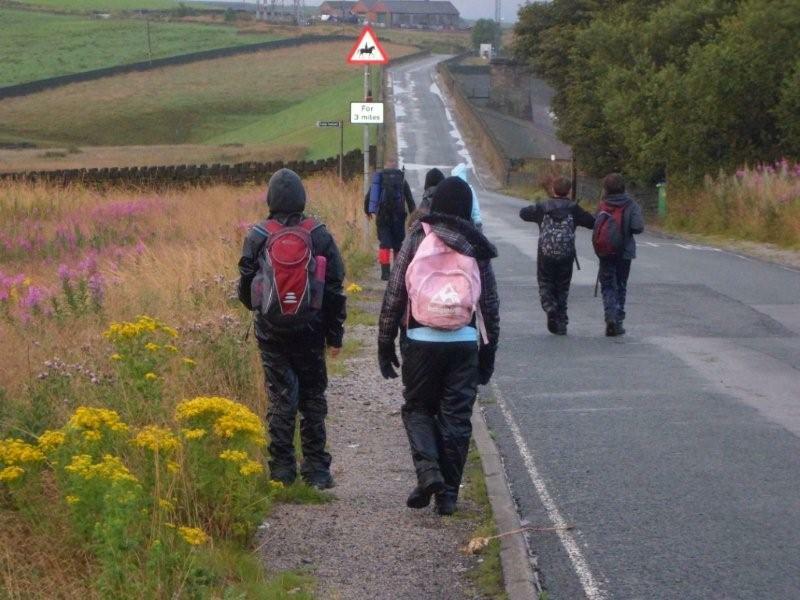 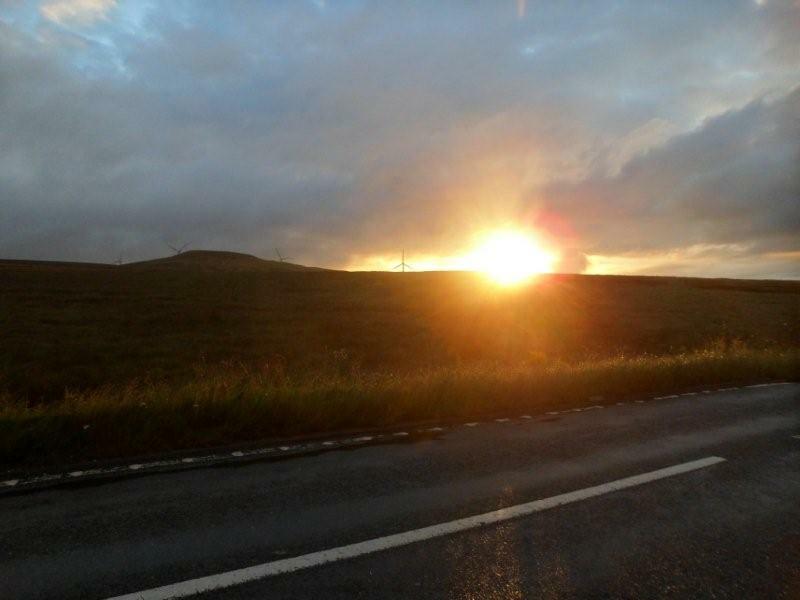 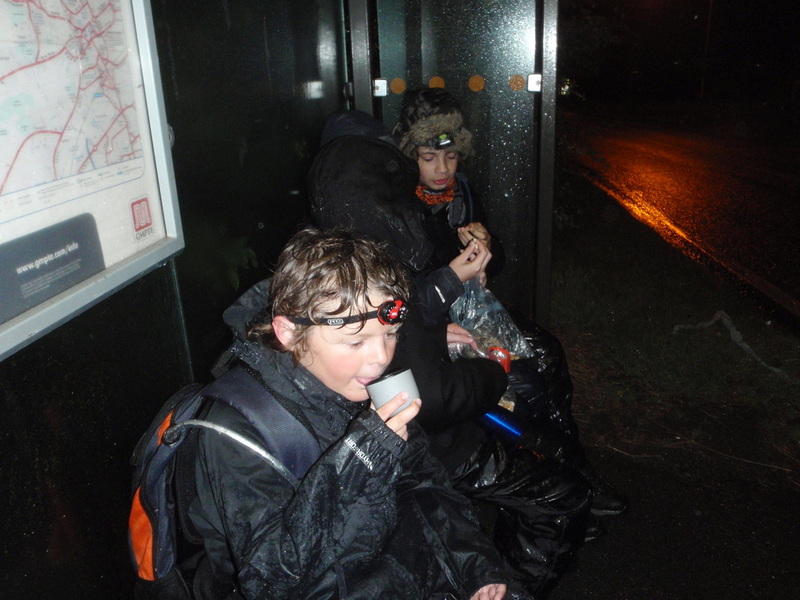 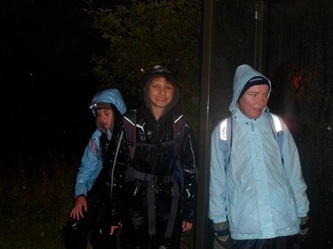 The hike started at 02.00 - so did the rain.. We travelled along quiet country roads, bridleways and footpaths. 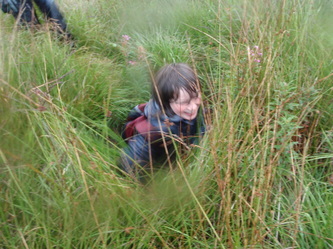 We pushed our way through an overgrown path to emerge at the other end extremely wet. 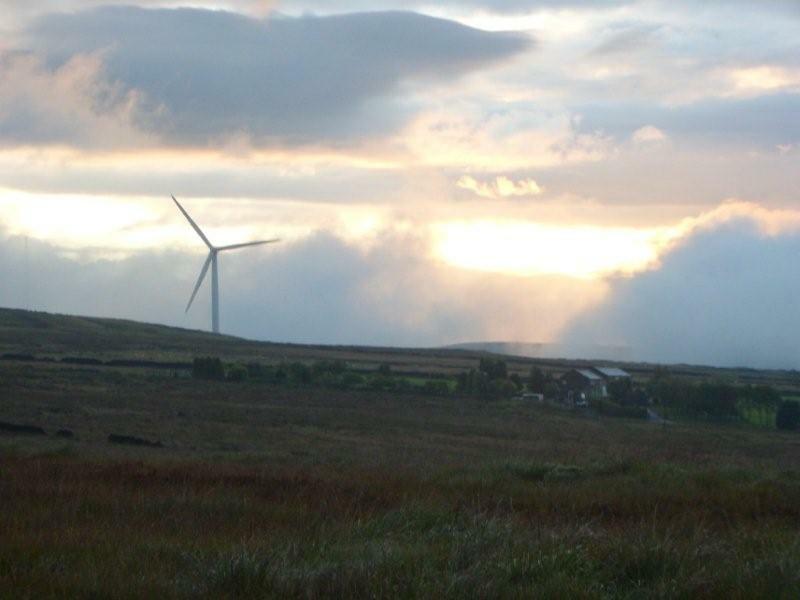 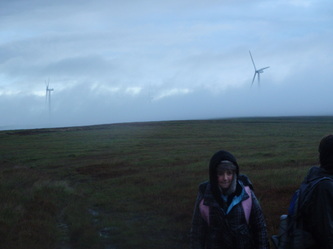 Eventually we left the farms behind and headed up onto the moors, where we could hear the giant wind turbines in the distance. 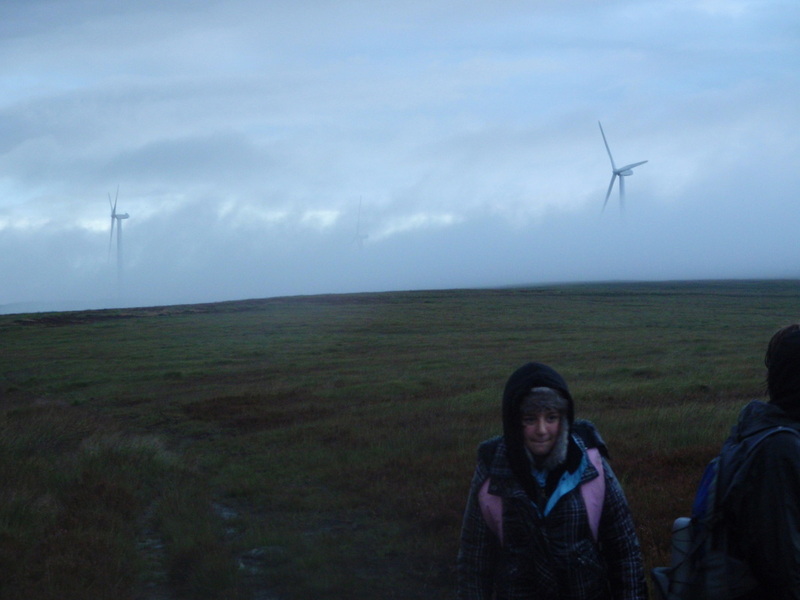 Visibility was poor with mist and low cloud cover so we were almost on top of the turbine before we saw it looming out of the mist. 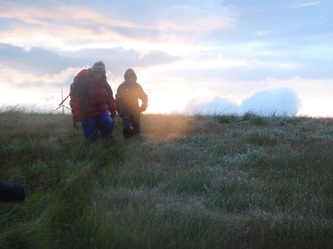 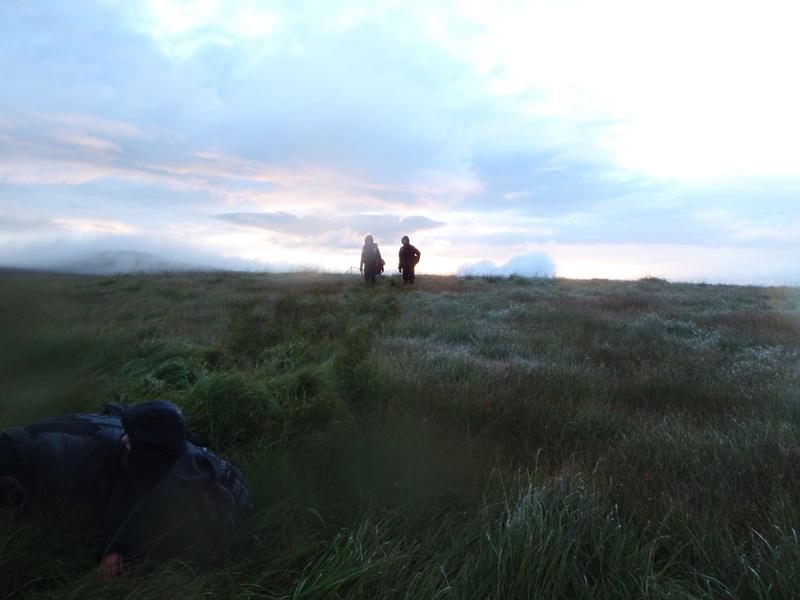 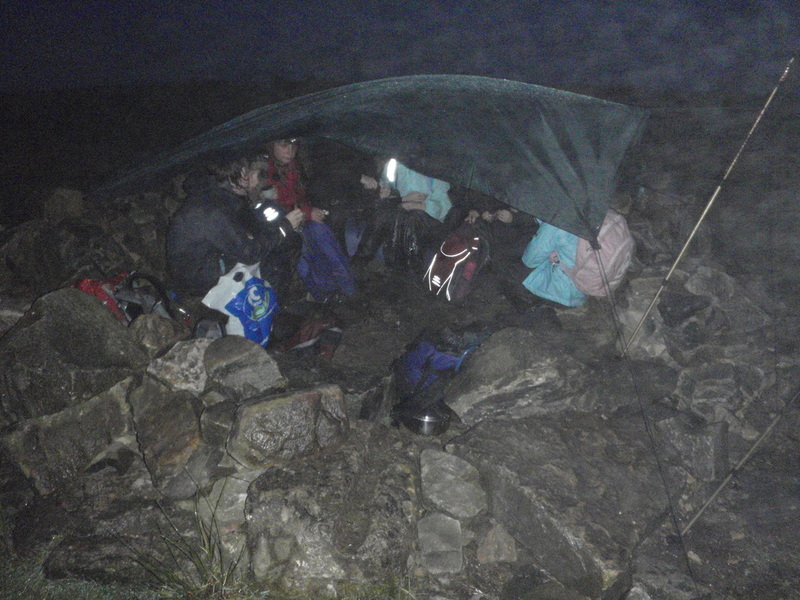 We reached the summit at 05.00 and set up a makeshift shelter. Our aim was to watch the sunrise but it was too cloudy. However as daylight appeared we made our way down through the boggy terrain and back along country roads to return to camp at 08.00.